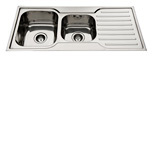 Single 304 stainless steel bowl & drainer available in left and right hand configuration. 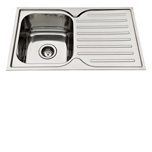 Includes 90mm chrome basket waste. 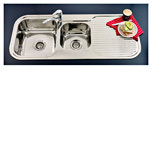 1 & 1/2 304 stainless steel bowl & drainer available in left and right hand configuration. Includes 90mm chrome basket waste. 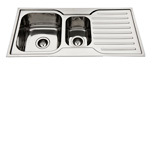 1 & 3/4 304 stainless steel bowl & drainer available in left and right hand configuration. Includes 90mm chrome basket waste. 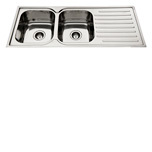 Double 304 stainless steel bowl & drainer available in left and right hand configuration. 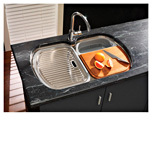 Includes 90mm chrome basket waste.